New York, October 19, 2015 — The American College of Bankruptcy announced that Kathryn A. Coleman, a partner in Hughes Hubbard & Reed’s New York office, will be inducted as a Fellow of the College on March 18, 2016 in Washington, D.C.
Coleman, and the rest of the 31 inductees of the College’s Class 27, are being honored and recognized for their professional excellence and exceptional contributions to the bankruptcy and insolvency practice. They reside in 19 states and two foreign countries. Coleman is a member of Hughes Hubbard’s Corporate Reorganization Group and has 30 years’ experience in restructuring. 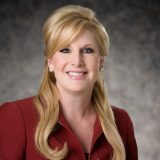 She has represented companies restructuring their financial affairs both in and out of court, traditional and nontraditional secured lenders, unsecured creditors (both official committees and significant creditors for their own account), equity holders, and potential acquirers. In addition, Coleman represents equity sponsors and financial and strategic buyers in the restructuring arena. Coleman also has substantial experience in advising boards of directors on corporate governance and fiduciary duty matters, and has experience both asserting and defending lender liability claims. The American College of Bankruptcy is an honorary association of bankruptcy and insolvency professionals and plays an important role in sustaining professional excellence in the field. College Fellows include commercial and consumer bankruptcy attorneys, judges, insolvency accountants, turnaround and workout specialists, law professors, government officials and others in the bankruptcy and insolvency community.